Nursing Superintendent at Karachi Adventist Hospital. Staff Nurse at Karachi Adventist Hospital. 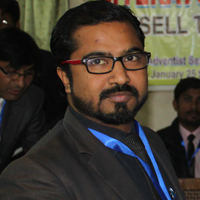 Franklin completed his Bachelor of Business Administration (BBA) from Pakistan Adventist Seminary. Completed his High School at Pakistan Adventist Seminary. 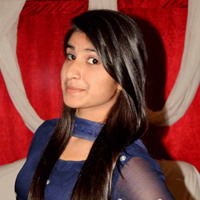 I am Shazia Sadiq and I graduated from PASC with a Bachelor of Liberal Arts in Elementary Education (BLA) after which I was accepted to teach at an Elementary School in Lahore. I also work as the Head of the Women's Ministry Department where I can share God's blessings with others. I am Gulliver Paul and I graduated from PASC with a Bachelor Degree in Ministry (B.Min). Pakistan Adventist Seminary & College provides the best Ministerial Education. The activities at the school have developed me socially, physically, spiritually, and mentally. PASC has given me a better and brighter future. I am proud to have studied at PASC where the education is excellent! PASC has offered me a lot of opportunities to develop myself. After all Education is the most powerful weapon which can be used to change the world.